This is a 15 Inch Rust Free Farmer Working Khukuri. 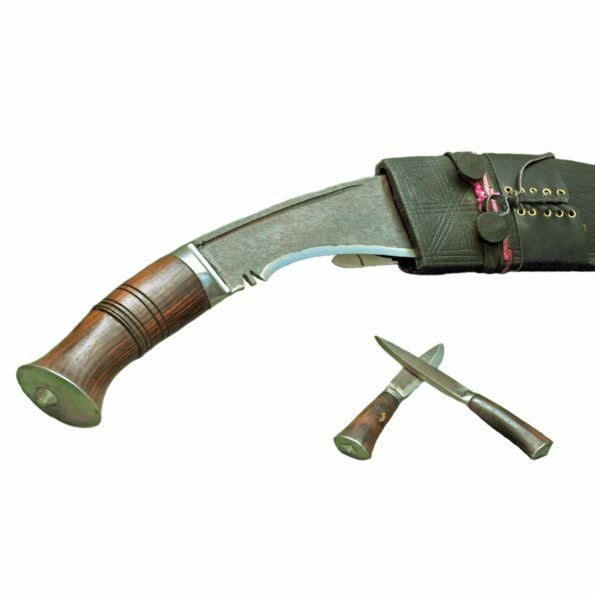 The handle is 5” and made up of rosewood which is glued together by traditional Nepali glue called Laha. 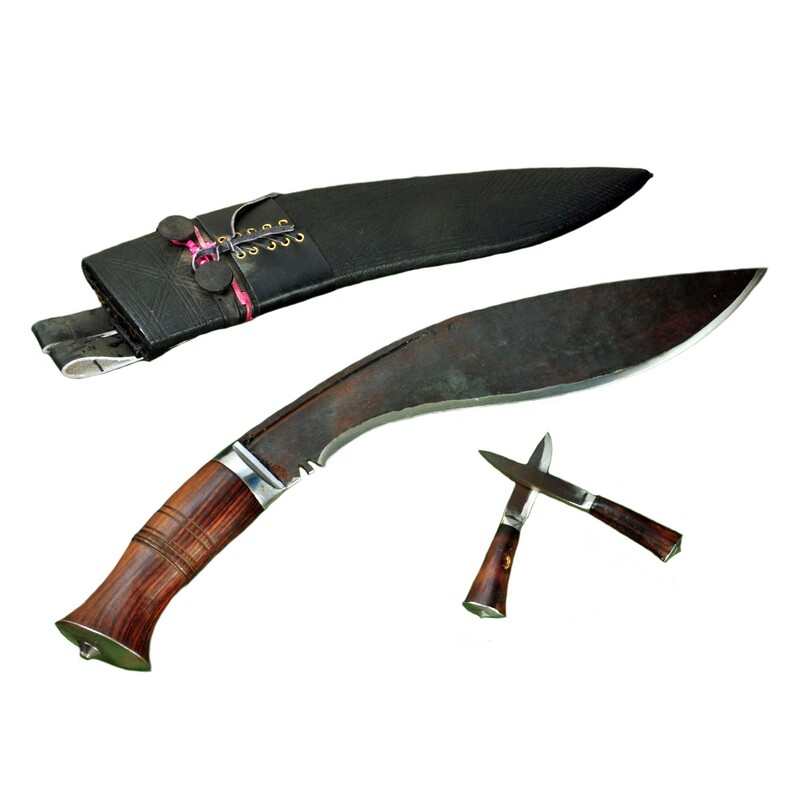 The sheath or scabbard is made up of water buffalo leather. The overall length of the blade is 20 inch and weighs about 865 gms. Blade Size and Type: 15 Inch and unpolished Black blade, Handmade. Handle Size: 5 Inch fixed Rosewood handle. Weight: 865 gms (30.5 Oz Approx. ).